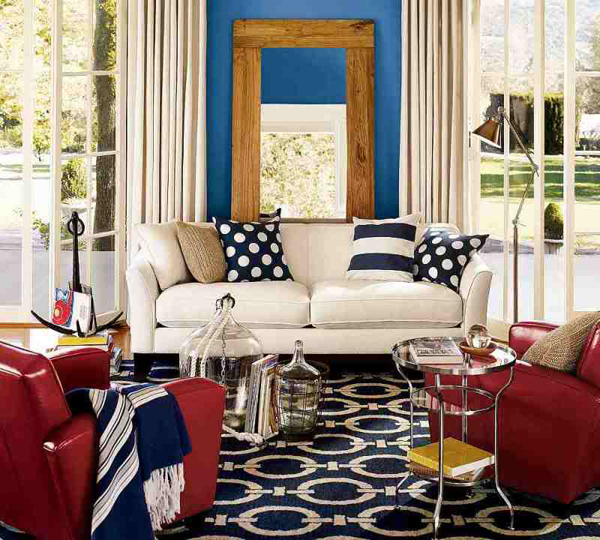 Red, white and blue color scheme is a great choice if you need an easy color solution for your interior. 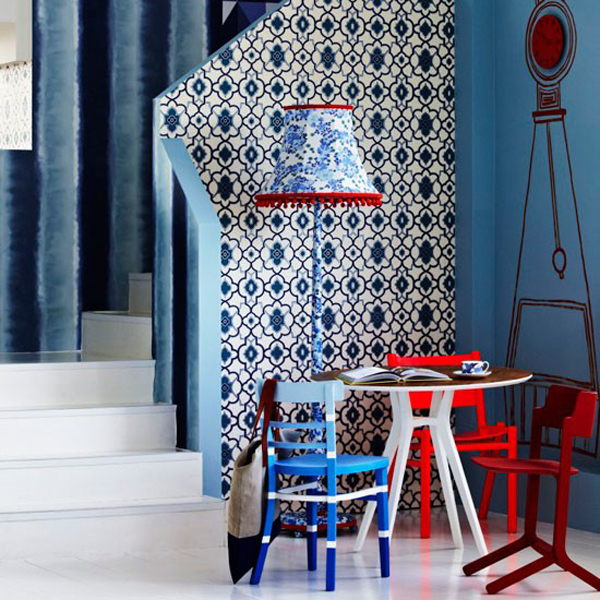 This is an easy color scheme to pull off anywhere from the living room to kid’s room. Chose the main color and use the other two as secondary and accent colors. 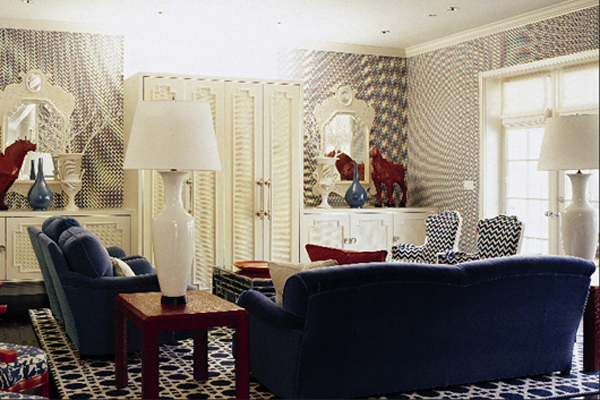 White makes for a neutral background where any color makes a bi appearance. 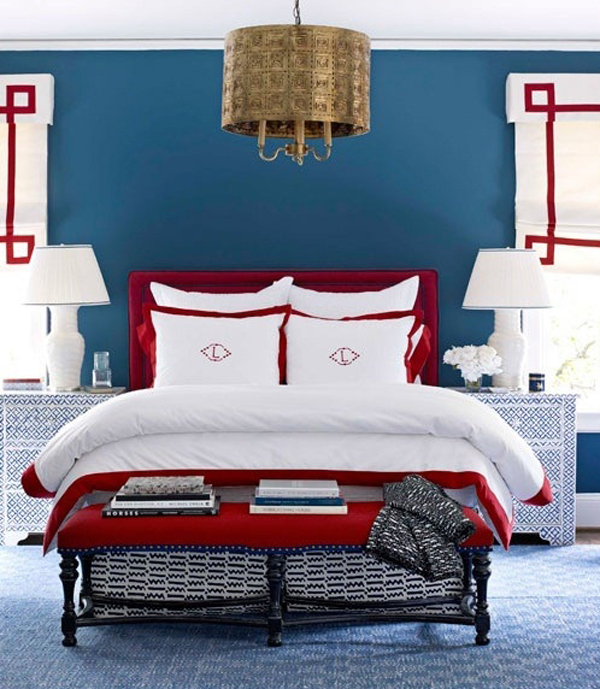 Use blue and red to create a consistent harmonious look. 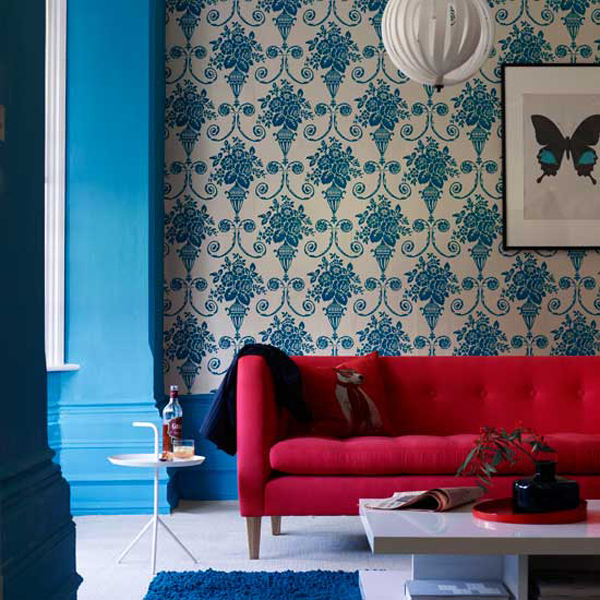 For instance you could opt for blue furniture and add red accents to it or do the other way around. 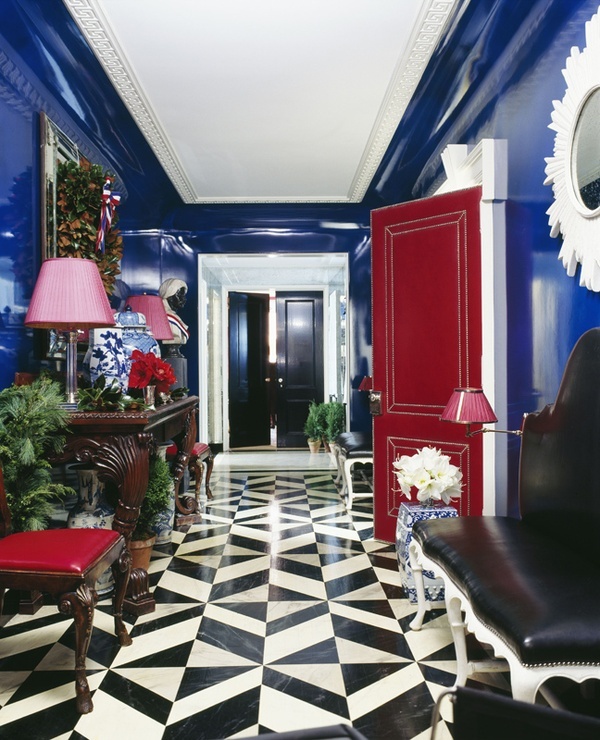 White is a great neutral color to accentuate doorways, window frames and other architectural details wtih in blue or red interiors. 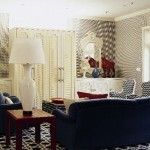 It balances out the bold color scheme and adds variety to it. When choosing the intensity of the colors make sure they look good together. 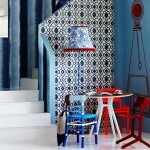 You can also opt for different hues and tones rather than going to bright blue and red. 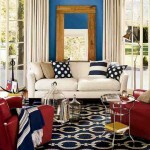 As to white, you can play with the off white and cream hues to create a more interesting red, white, blue color scheme.